An email believed to have come from Nintendo says you won't be able to play games from other countries on your 3DS. Nintendo has announced that the 3DS will be available in Japan on February 26th, 2011, with a forthcoming release in other countries. For those of you who were considering jumping the gun and importing the handheld from the island nation and then buying games as they come out in your country, I have some bad news for you. An email alleged to have been sent by Nintendo support staff claims that both the 3DS and its game cartridges will have region codes on them, and if the codes do not match, the game will be unplayable. Nintendo handhelds used to have such region-locking but the company abandoned the practice for the DS and DS Lite only to bring it back for the DSi, DSi XL and now, apparently the 3DS. 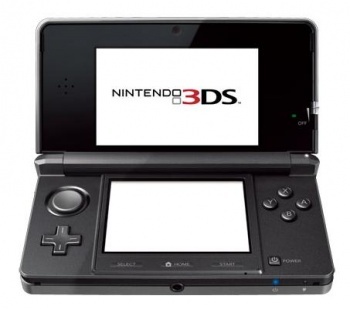 "There are no Region codes in DS and DS Lite, but DSi, DSi [XL], and 3DS have region codes. The region codes are installed in each game and the 3DS itself," the email reportedly read. "You can't play if the region codes are different." And just in case you need the situation spelled out for you, the email makes it clear as vodka: "For example, if you play a Korean 3DS game with a Japanese 3DS system (or vice versa,) you won't be able to play at all." Keep in mind that the source of this email is unconfirmed and Nintendo has yet to officially state whether the 3DS will have such restrictions. Tiny Cartridge speculates that, if it proves true, the region-locking would satisfy publishers' needs to target specific audiences. One company might ink a deal to publish a game in a region like North America, while another company might handle publishing duties in, say, Australia, and locking software to regions will make this possible. While the publishing deals that are region specific is certainly a big reason for such a plan for the 3DS, my bet is the rampant piracy of DS titles played a big role in Nintendo's decision to lock the 3DS. Region-locking won't end piracy, by any stretch, as I'm sure the codes can be hacked, but it sure doesn't hurt to make pirates jump through more code hoops.